Huawei Honor is just a limited lineup of handsets in India, for now. 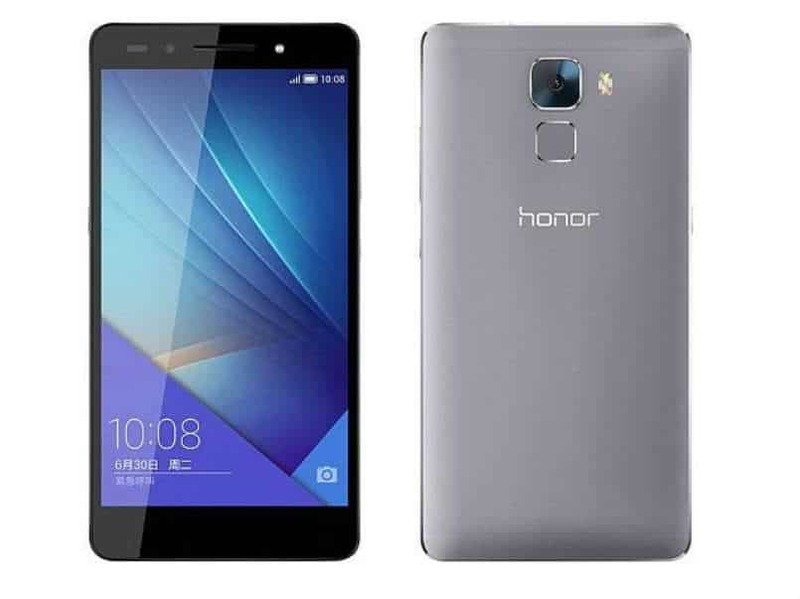 But Huawei has done a really good job in providing both high-end phones, along with budget phones and the latest one, the Huawei Honor 7 is the successor to the previous Honor 6 lineup, i.e. Honor 6 and 6 Plus. The Honor 7 has a 5.2-inch Full HD IPS-NEO LCD display, and the phone is powered by the firm’s very own HiSilicon Kirin 935 processor (octa-core– 2.2 GHz Cortex-A53 & quad-core 1.5 GHz Cortex-A53), coupled with 3GB of RAM. There is 16GB of storage on board which can be expanded upto 128GB using microSD card. The Huawei honor 7 runs Android 5.0.2 Lollipop-based EMUI 3.1 out of the box. There is also a self-learning fingerprint sensor on the back of the phone. In case of camera, the Honor 7 is really impressive with a 20-megapixel camera with phase detection autofocus, and dual-tone flash. on the front as well, there is an 8MP snapper, with LED flash. The single SIM variant is available in India which is LTE enabled, along with that you also gte an IR blaster of top of the device, pretty impressive. Under the hood there is a 3100 mAh battery to juice it up all day long, and there is Smart Power 3.0. The Honor 7 also supports 9V/2A fast charging, but surprisingly Huawei didn’t provide a fast charger in the package, maybe you will have to buy a charger separately for that. The Honor 7 will be available in 3 colors- gray, silver and gold and it will be available from October 15th with a price tag of Rs. 22,999. Previous articleMifa Outdoor wireless bluetooth speaker @ just $42 [DEAL ALERT]! Next article2 Smartphones with mere Change in Price & Specs: What’s the Strategy? Honor View 10 Review – What’s the story behind this AI phone?